Send A Message To The Family. Established in 2005, The Family Enhancement Centre is a full service counselling centre serving children, youth, adults, couples and families. We are a mental health agency dedicated to helping people maintain a state of wellness for themselves and their families. We work from a strength based perspective, looking for solutions to help people move on from their problems. Our therapists are highly experienced and their approach to counselling is eclectic, and includes elements of cognitive behavioral, solution focused, psycho-educational, and psycho-dynamic modalities. Our direction is insight and goal oriented. We are committed to help our clients in their different emotional problems or life issues and provide a safe, confidential, respectful and non-judgemental environment. Our services include - individual counselling, family counselling, marriage counselling, youth counselling, child counselling, play therapy, anger management; and counselling for grief, anxiety, depression, trauma, abuse and anger related issues. We also conduct workshops on Co-Parenting and Anger Management. 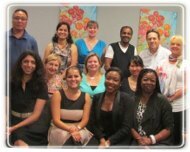 Most of our counsellor have worked with individuals and groups in a variety of multicultural settings, both clinical and community based. Over the years we have worked with refugees and immigrants, people who have experienced abuse, homeless populations, individuals with addictions, family members living with loss and grief, and those living and coping with other issues such as stress, anxiety, anger, body image and self esteem challenges, depression and other mental health issues, relationship conflicts, and difficult life transitions. Our team include registered social workers, family counsellors, marriage counsellors, Christian counsellors, career counsellors and play therapists. Along with Niagara Falls we also have counselling facilities in Brampton, Mississauga and Orangeville.